Without such an agreement, the final “trilogue” meeting, at which the law was supposed to be finalised together with representatives of the European Parliament, had to be called off – and time was running out, with EU elections that will reshuffle all the cards looming in May. 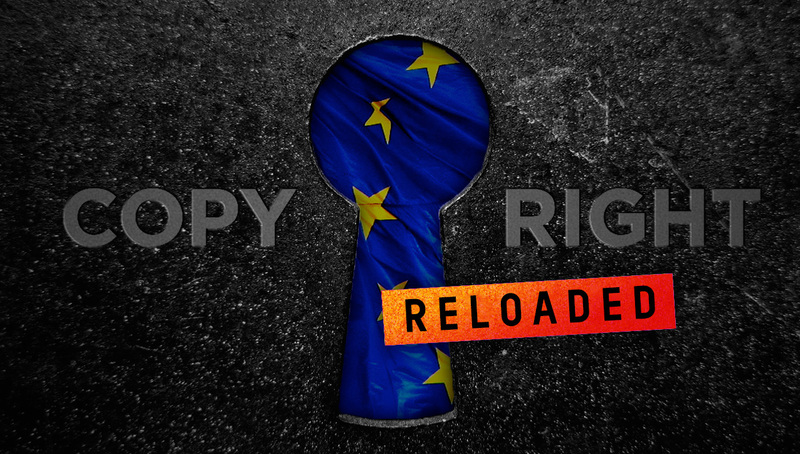 Contrary to some reports, though, Article 13 was not shelved because a majority of EU governments have come to understand that upload filters are costly, error-prone and threaten fundamental rights. Article 13 is great and must apply to all platforms, regardless of size. They must demonstrate that they have done all they possibly could to prevent uploads of copyrighted material. In the case of small businesses, that may or may not mean using upload filters – ultimately, a court would have to make that call. Article 13 is great, but it should not apply to everyone. Companies with a turnover below €20 million per year should be excluded outright, so as not to harm European internet startups and SMEs. On top of that, even the smallest and newest platforms, which do meet all three criteria, must still demonstrate they have undertaken “best efforts” to obtain licenses from rightholders such as record labels, book publishers and stock photo databases for anything their users might possibly post or upload – an impossible task. In practice, all sites and apps where users may share content will likely be forced to accept any license a rightholder offers them, no matter how bad the terms, and no matter whether they actually want that rightholder’s copyrighted material to be available on their platform, to avoid the massive legal risk of coming in conflict with Article 13. With this road block out of the way, the trilogue negotiations to finish the new copyright law are back on. With no time to lose, there will be massive pressure to reach an overall agreement within the next few days and pass the law in March or April. This Article 13’s just SSOO annoying. Can’t it just turn itself into a vapour trail and disappear for good? If Article 13 is passed, is it a problem all over the world? There are several ways in which Article 13 will have repercussions outside of Europe. It would apply to all internet platforms that are available to EU consumers. They would only need to apply these rules to Europeans, but they may choose to apply them to all their users for simplicity’s sake. In practice, EU law could not be directly enforced on companies that don’t have a local office in Europe (or bank accounts or servers) – although sites that continue to ignore Article 13 may well find themselves ordered blocked by European internet providers. (They may of course choose to block EU users themselves, preemptively.) Another aspect: The passing of Article 13 in the EU will surely embolden the big international media companies who lobbied for it to try to get laws to the same effect passed in the US and other countries. The topic may even make its way into future international trade agreements between the EU and other countries and be copied to other countries that way. If you approve the European copyright directive, I, like millions of other European citizens, do not vote you in the next election, because this directive represents a real censorship that limits our freedom on the Web. Sincerely. I was reading from others that chat apps like Discord and mesanger are exempt from art 13. Is that true? Or does the exemption only apply to the pm features and not group chats? Ultimately, courts would have to make that call. Private communication like PMs and emails is explicitly excluded – but large chat groups anyone can join may well be interpreted as public platforms, in which case Article 13 would likely apply. This is nothing but censorship and further thought control. Why are my comments being censored here!? I do not support this article. EU should not become a totalitarian society such as China. We should have the link without any censorship. An absolutely unnecessary resurfacing! The European Union was supposed to be a symbol of unification and creativity! Not a totalitarian gulag hellbent on ruining the best method of creative expression known to mankind! This is all because there is NO ONE from the previous 2 generations in the EU Parliament. They’re scared. I don’t want big business to control what i put out there, and as an online author, this will ruin everything i do for a hobby! What provision is made for licenses where the copyright holder expressly permits use under certain conditions? The Creative Commons licenses allow different degrees of use; there are probably others. Would images also require Model Release consent, where people are shown? And what of photographs taken from public space, but looking at “restricted” areas? How is user-generated content defined? If I’m the “user” of a cloud service provider (dropbox? ), or a “user” of a virtual server provider, or a “user” of a service that enables the easy creation of websites like squarespace, would that count as user-generated content and the respective companies would have to somehow check if the “content” does not infringe any copyright? What if the user-generated content is encrypted? The Directive targets services where you post content publicly and it is somehow organised or promoted (including by algorithms). Private cloud services are explicity excluded. Aren’t you forgetting Bandcamp from the list of affected websites? It is the main platform specifically used by the indie musicians who the major label [insult removed] are pretending to care about. Hello, I’ve got back to “Copyright Directive” topic after leaving it months ago, since, as it often happens in such cases, it’s really difficult for someone to form a clear opinion, because of all the possible ramifications and voices on the topic. Long answer: Musician and games developer here. The question of how we can “prevent infringement/piracy” of our work is nothing but counterproductive. The real question is how we can ensure that artists have a good quality of life, and can continue to do what they like. Artists, musicians in particular, need to understand that being able to create their art alone for a living always has been, and always will be a one-in-a-million chance. And it has nothing to do with talent; look through BandCamp, and you’ll find tons of unknown artists who are just as talented as anyone on the radio. Even if we could completely stop piracy and raise streaming royalties, that dosen’t change the fact that almost EVERYONE who grew up playing music wishes they could do it for a living, even though the average person only needs so much new entertainment. Therefore there would still be way too much “competition” (as an indie, I don’t like using business terminology to describe arts). However, just because you can’t make your art into your job dosen’t mean you ever have to give it up, or even that you have to identify with your day job. Our society defines people way too much by what they NEED to do to make money, whether that is also the thing they WANT to be recognized for or not. It is easier than ever to make music, release it, and gain some sort of following, if you want to share your work with the world. But that is only because of open internet platforms like YouTube, Soundcloud, and especially Bandcamp, which accept submissions from absolutely anyone. These attempts to stop piracy would take that away. Because you can now make and release music from anywhere, more and more places across the U.S. and world have thriving music scenes, even non-traditional arts towns like Pittsburgh, OKC, Tampa, Detroit, and Indianapolis, where I live. Here in the Circle City, we only had four local music venues at the start of the decade, two of which only played punk music (not that punk is bad), but now we have 17 local venues, and tons of artists of all genres. So clearly, music is not “dying because of piracy”, or being “devalued because it is free”. But our local music scene, along with those in other non-traditional arts towns, would not have grown so tremendously during this decade if it wasn’t for open internet platforms empowering smaller artists and giving them a platform to share their work with the world. by so-called “hobbyists” (a musician is simply a musician) online is “low-quality”, but Eric Pedigo, The Trees, Amity Beach, Ylliy, and many others I could mention prove that claim to be nothing but an extremely dehumanizing overgeneralization towards “hobbyists” and their great art, who deserve a platform just as much as these narcissistic “industry professionals”. Of course SOME really bad music is released by “hobbyists” and very small indies, but lots of major label artists are also awful. So once again, a way to ensure our artists have a good quality of life and can continue making their art is the real issue, not preventing piracy or raising streaming rates. First, artists need to stop stigmatizing themselves and each other for having a day job and not working as an artist full time. For the ones who can’t find a day job, the solution is a universal basic income, which will be necessary at some point even if this weren’t an issue at all, due to automation of jobs (it isn’t just routine manual jobs that are prone to automation anymore). And of course, the ones who are lucky enough to make a living from their art alone, whether directly, or through an indirect method, such as crowdfunding, will be just fine as it is. Hello, so what happens to the E-Commerce Directive and the case law ? are they not relevant if Article 13 passes?